Spurs were linked with a move for Chelsea striker Michy Batshuayi on transfer deadline day, but he joined Crystal Palace on loan in a deal announced after the window closed on Thursday. Mauricio Pochettino is disappointed by Tottenham Hotspur’s failure to sign any players in the January transfer window but the manager says his team will keep fighting to finish as high up the table as they can. 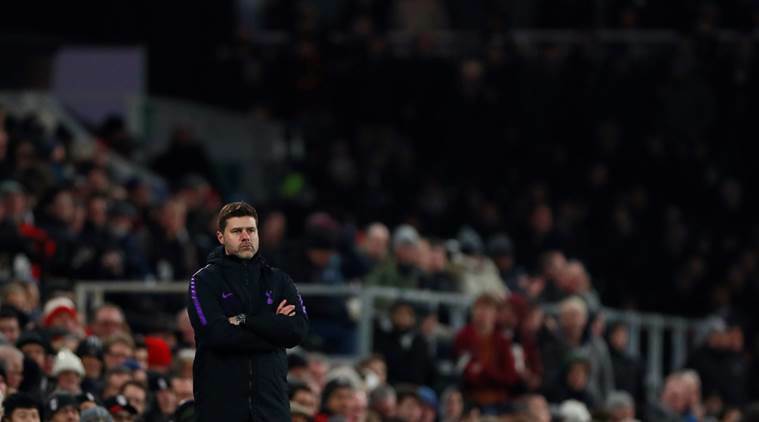 Spurs are the first team in the Premier League era not to sign a player in consecutive transfer windows but despite the lack of fresh faces they sit behind only Liverpool and Manchester City ahead of Saturday’s home game against Newcastle United. “Of course I wanted to strengthen the squad but if we cannot sign, I need to stick with the project of the club,” Pochettino told his weekly news conference. Spurs were linked with a move for Chelsea striker Michy Batshuayi on transfer deadline day, but the 25-year-old joined Crystal Palace on loan in a deal announced after the window closed on Thursday. Pochettino, who declined to comment on Batshuayi, said he would allow Dutch striker Vincent Janssen back into the first team after the player failed to secure a move away. Janssen, who joined Spurs in 2016, had been training with the under-23 side. “He is going to be involved with the first team from today, like another player with chances to be involved or play” Pochettino said. Groundhog Day 2019: Did Punxsutawney Phil See His Shadow?